The Himalaya is considered as a typical example of continent-continent collision between the Indian and Eurasian Plates during Cenozoic time. 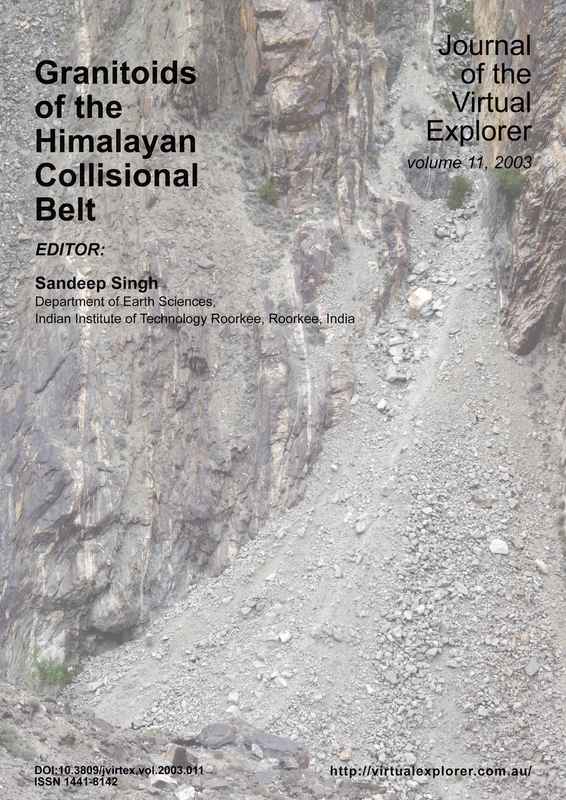 The Himalayan collision zone contains various granitoids with ages ranging from Proterozoic to Recent. These granitoids can be classified into two (2) main type related to the orogeny or can be divided into five (5) main types on the basis of their varied geographical distribution in diverse stratigraphic and tectonic setup as linear belts parallel to orogen. Dating of Himalayan granites has generated some of the first order data required to understand crustal growth history of the Indian Plate since Paleo-Meso Proterozoic. The time of crystallisation has been constrained mostly by Rb-Sr whole rock isochron analysis and zircon and monazite U-Th-Pb dating techniques. Contributions include consideration of granitoids from North Pakistan, paradoxical aspects of the Himalayan granites, imprinted Pan African granitoids, a melting mechanism for Himalayan leucogranite, and source characterization and a possible emplacement mechanism.